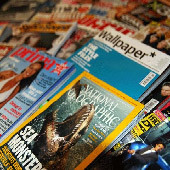 Global Magazines B.V. is the only company in the world solely specialized in the delivery of international magazine subscriptions, newspapers and journals. We deliver more than 250000 different printed publications (only 10% is online) in all countries of the world except in the country where the publication comes from. We hope to welcome you to as one of our satisfied customers!